- Lots of dressing up! 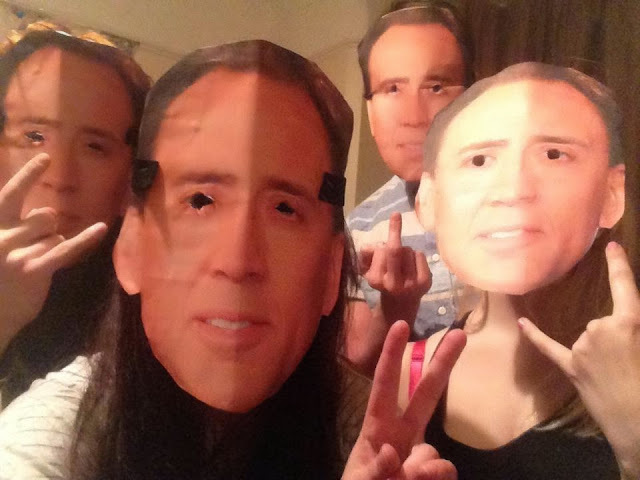 I went out with my three housemates and we all made and wore Nicholas Cage masks. This week I also dressed up as a zombie golfer and Violet from the Incredibles. - Mega lie ins cos of days off uni! - Popworld! Best cheesy music ever. Did you catch these last few posts? October Instamonth, Out in Portsmouth, Home vs Uni. I love New Girl and that Captain America shirt is adorable. I just got back from watching the new Thor today and enjoyed the trailer for the new Captain America flick. I'll be seeing it.